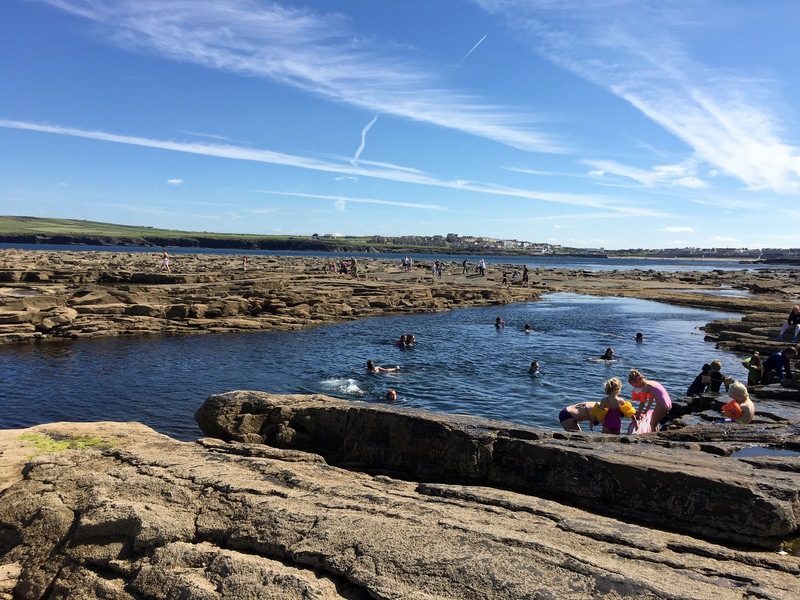 We woke up on Monday to brilliant sunshine, apparently rare for the denizens of Kilkee. As a result the place was packed. 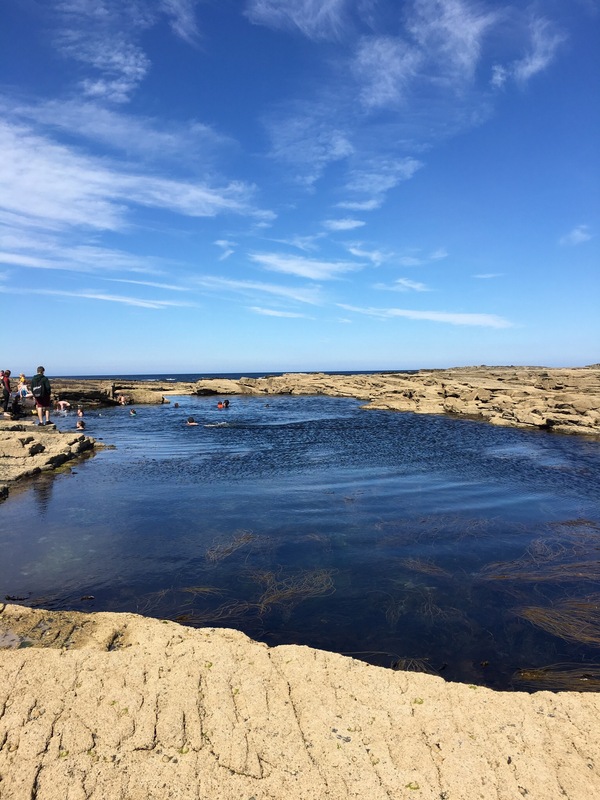 We checked out at 11, threw our bags in the car, and decided to explore the coast south of Kilkee. 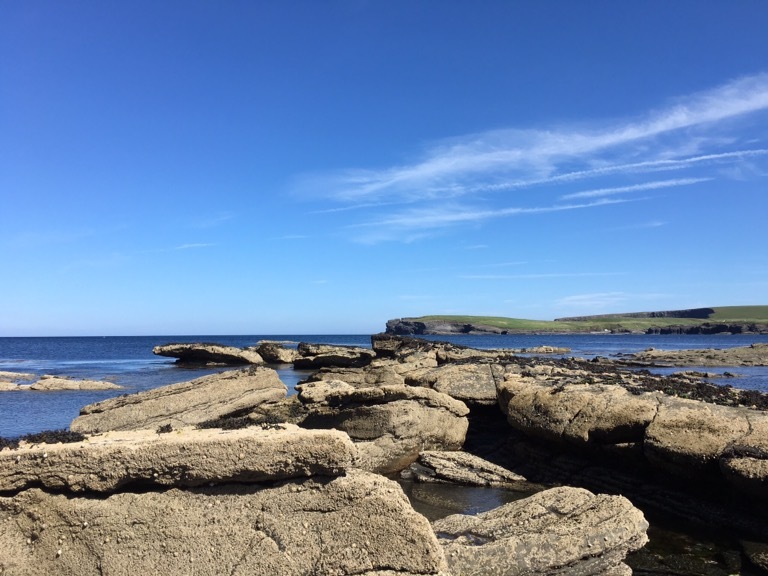 Although it looked like the Southern side of Kilkee bay was just a jumble of rocks, it turned out these rocks are host to swarms of migrating humans. 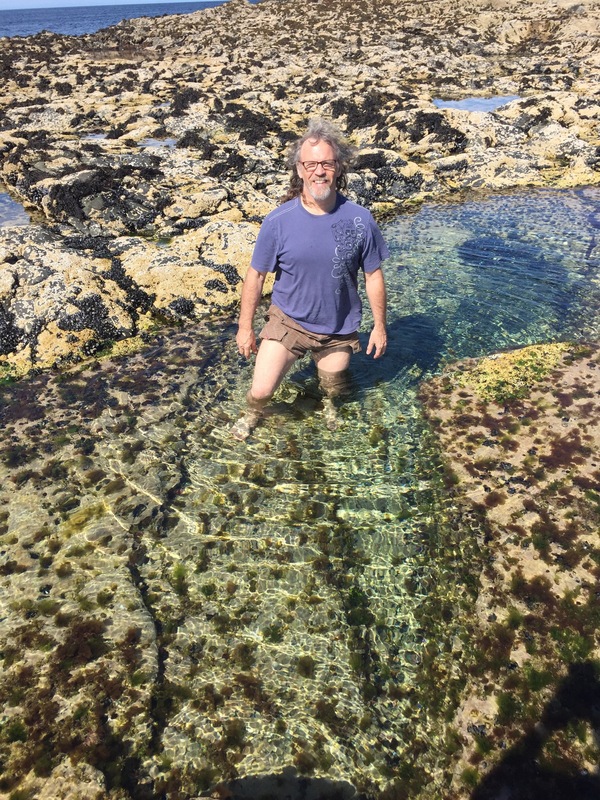 The tidal pools are the big draw. 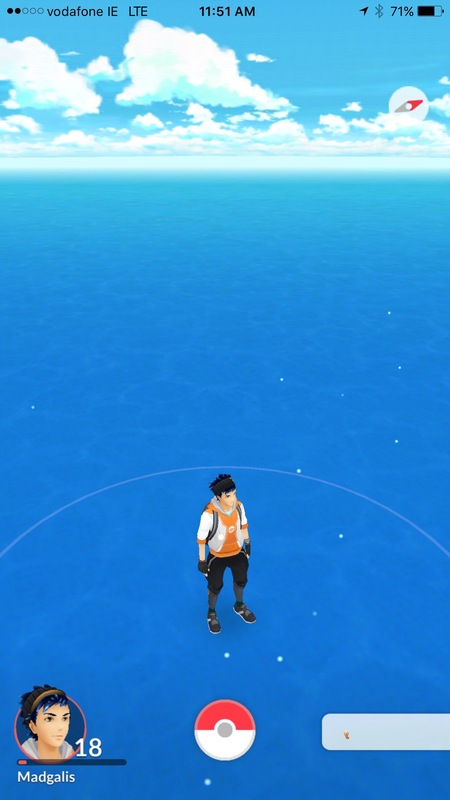 There were probably a dozen of them, and some were deep enough that people dive into them. The temperature must have been fine as well, as kids from about 2 to 90 were enjoying them. 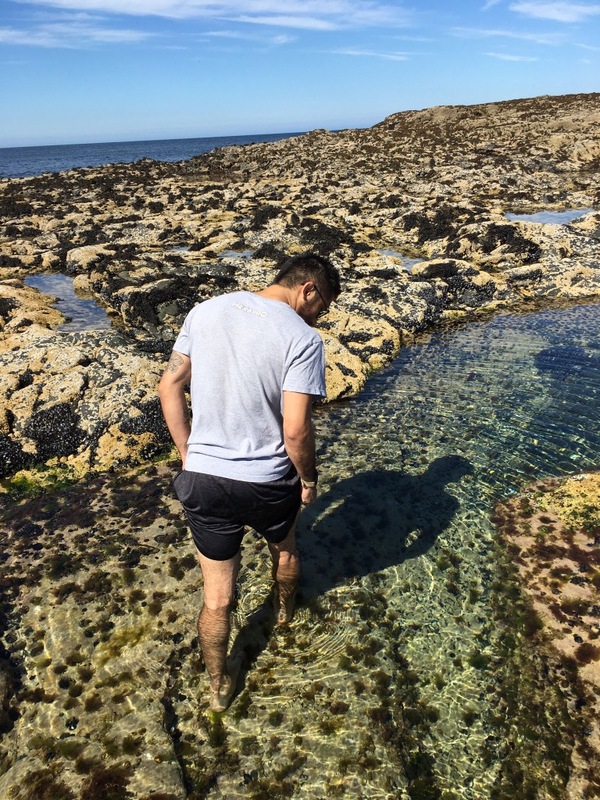 Kevin and I went into a smaller pool (we didn’t bring our swim suits with us), and found it quite nice, other than discovering that barnacles are sharp, and seaweed is slippery. There must have been hundreds of people on those rocks, far more than were actually on the beach itself. Before long though we had to pack up and get on the road to Cork. 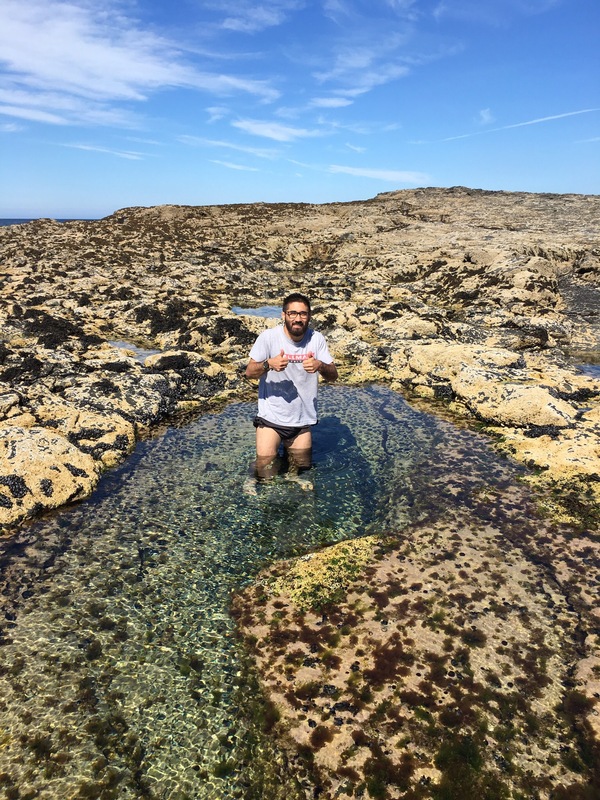 It was more or less identical to the ride to Kilkee. Beautiful wide smooth roads and uncomfortably narrow county roads. Cork itself looks huge, with a massive downtown and lots of industry. Surprising as the population of Cork City is only about 120,000. 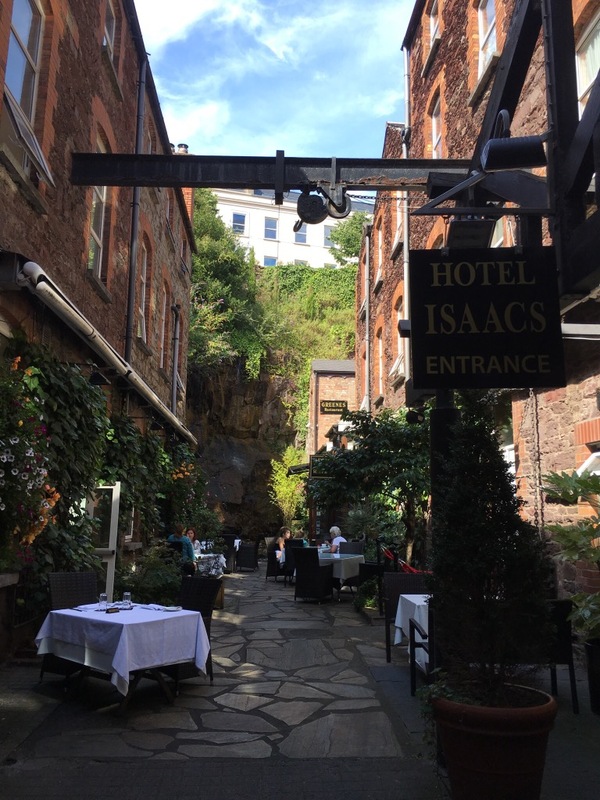 But it’s the entrance to our Hotel Isaacs that blew me away. You walk through an arch off the sidewalk into a beautiful little retreat with a tall rock waterfall at the other end. And the rooms are really nice, with 4 USB charging ports spread around the room, plus a North American plug at the little desk. Oh, and the wifi actually exists. Its hard not to be impressed. After settling in, we headed out for a long walk. Cork has steep hills heading into the touristy city Centre. 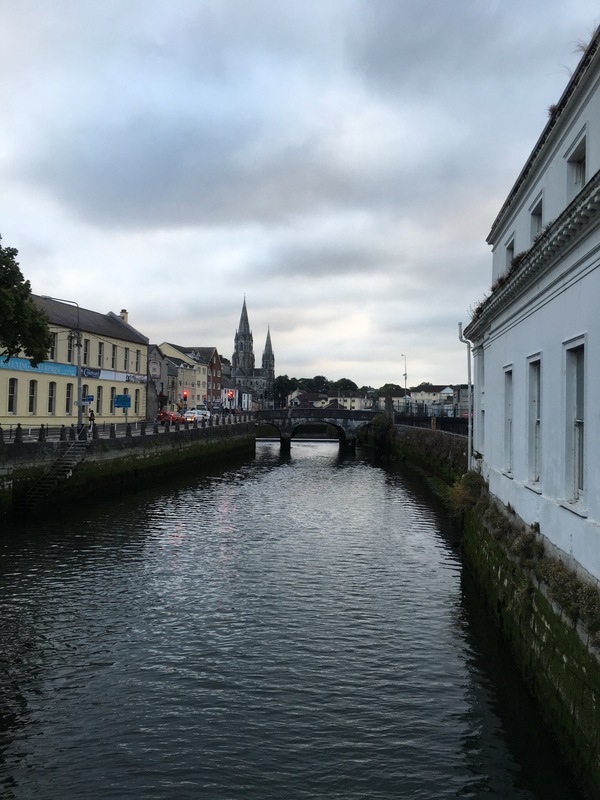 It also has a wide canal going through that’s very similar to Dublin, along with a vibrant restaurant and shopping area. Supper was quite enjoyable, with both live Irish folk music and televised Olympics. But the biggest problem with the Olympics is that they only show uk athletes. Nobody else gets a mention. And now for a completely irrelevant history lesson. No need to keep reading. 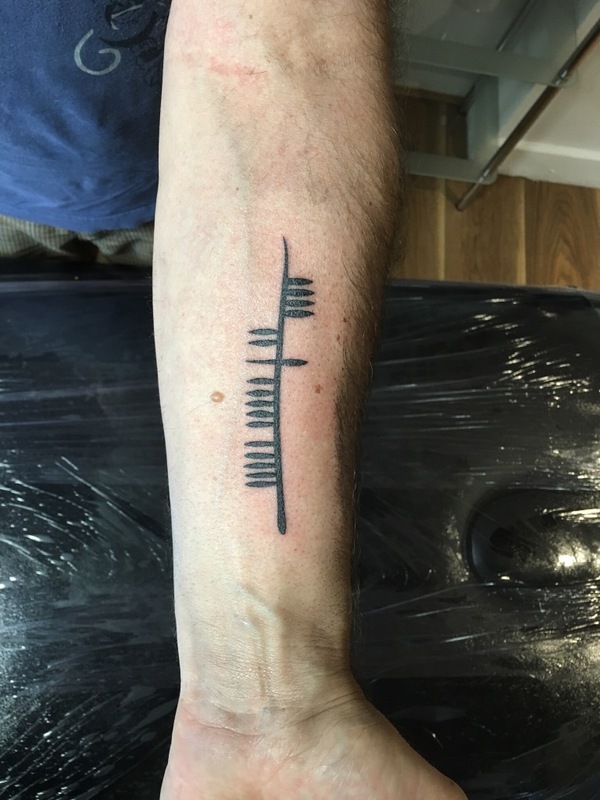 Ogham (pronounced oam) is the primitive written form of the Irish language, used roughly between the 2nd and 6th centuries. It’s primarily written vertically and read from bottom to top. It’s pretty cool stuff. Now, if you wanted to write out a word, you’d just make the cross lines on the vertical line in Irish. 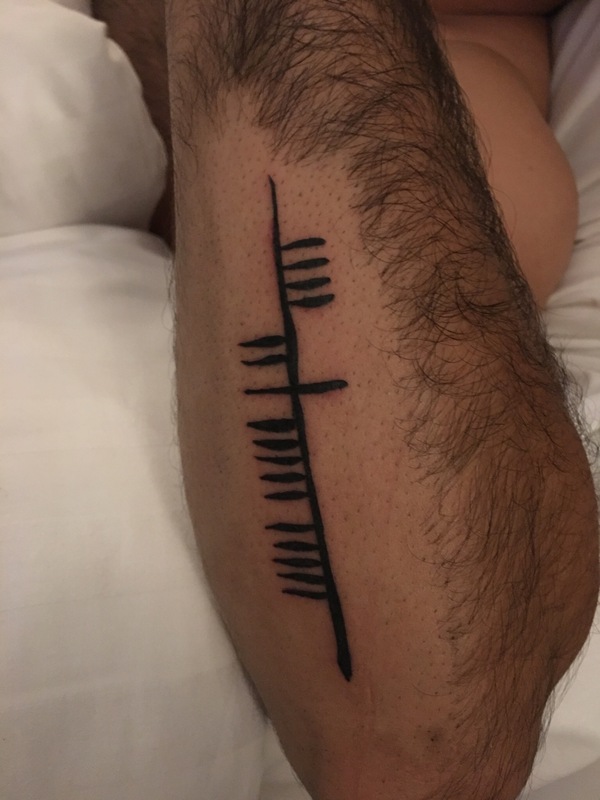 For instance, the word CLANN, meaning ‘family’ would look like this. And that’s the end of this completely random lecture on ancient Irish languages that has absolutely nothing to do with Kevin and I.